Philodendron (Philodendron spp. ): growing, planting, caring. Easy to grow, large houseplants. A little showy maybe. Scientific name : Philodendron spp. Philodendron is a large genus of flowering plants in the Araceae family, with almost 500 species found in many diverse habitats in the Americas and the West Indies, mostly in humid tropical forests, but also in swamps and rock outcrops. Some species climb the trunks of other trees with the aid of aerial roots. They can be grown outdoors in mild climates in shady spots and moist soils with high organic matter. Indoor they thrive at temperatures between 15 and 18 °C and can survive at lower light levels than most other house plants. Philodendrons are a genus of 500 species of shrubs, climbers and trees. Their leaves are alternated, evergreen, rosette-shaped, lustrous, leathery, and have many shapes. The inflorescences are small, many, grouped in spadices surrounded by a spathe. For the location, you need a bright place without too much direct sun - especially in the afternoon - and away from the heaters. The philodendrons are big plants, so choose a large pot - minimum 10 liters. When planting use potting soil for indoor plant - rather woody - or a beautiful compost well decomposed and very woody too. Some philodendron roots are aerial, do not bury them during planting. Then water copiously. For climbing species, use a support pole. The philodendron is a tropical plant, so water it as soon as the top of the soil dries, and clean the leaves often. If possible, do not use water that is too calcareous. In winter, the plant is almost inactive, so space the waterings. Okay, you've planted a philodendron whose adult size is 6m, and it's inside your home, so you're thinking of shortening it. Do it in the spring, shortening all the stems. At the end of the winter every 2 or 3 years, repot your philodendron in a pot slightly larger than the current one, with compost for indoor plants. If you have a beautiful compost well decomposed very woody, very draining, it works too. Watch out for the leaves' health: if they are deformed it is either a lack of light or an excess of water. Try both: find a brighter location and reduce watering. 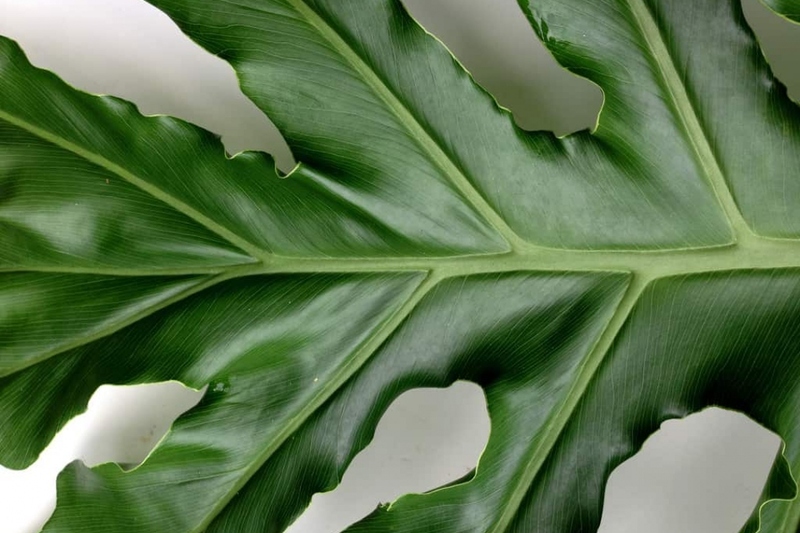 The known pests of the philodendron are mealybugs - which hate black soap - and red spiders - which can be limited by spraying water on the leaves.